The Profile Lite Nasal Gel Mask features a softer, lighter gel cushion and forehead pad that gently rests against a patientâ€™s face for a soft, pillow likeÂ fit. A simple, 10-minute customization process molds the mask to the patientâ€™s facial contours. Patients can customize the mask on their own and repeat the process as needed to find the perfect fit. This mask consists of four parts and just two that need to be cleaned, making it easier to use and care for than other masks. 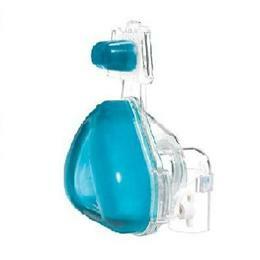 Uses a one-size adjustable headgear that is interchangeable with most Respironics masks. Requires less tightening to ensure a seal, which means better patient comfort.